Location: Mecheo Village, Mecheo Location, Borabu, Nyamira County. We announce the death of Isaac Ombiro Bonuke. Son of the late Mark Bonuke & the late Esther Nyarangi. Husband the late Trusilla Kwamboka and Abigael Bosibori. Father of the late Mark Bonuke, Albert Kambuni, Bathseba, Nyaboke Martha, Jane Nyauma, the late Gesare, Nancy Nyanchera, Margaret Kerubo, Robert Nyagaka, Zipporah Moraa, Stephen Onserio, Ronio Kerongo, the late Nelly Mokeira, Lenah Bonareri. Brother of the late Onyando, the late Samson Ondari, the late Joel Nyamao, the late Ndege, the late Nyorita. Brother-in-law of the late Jerusa Mokaya, Nyaboke, Kwamboka Mary. Sara, Osoro, Atura, Manani, the late Nchore Mosigisi, Isoe, the late Mokamba, the late Moraa, the late Kemunto, the late Sarange, Ruth, Nyaboga, Esther, Jemimah, Ezekiel. 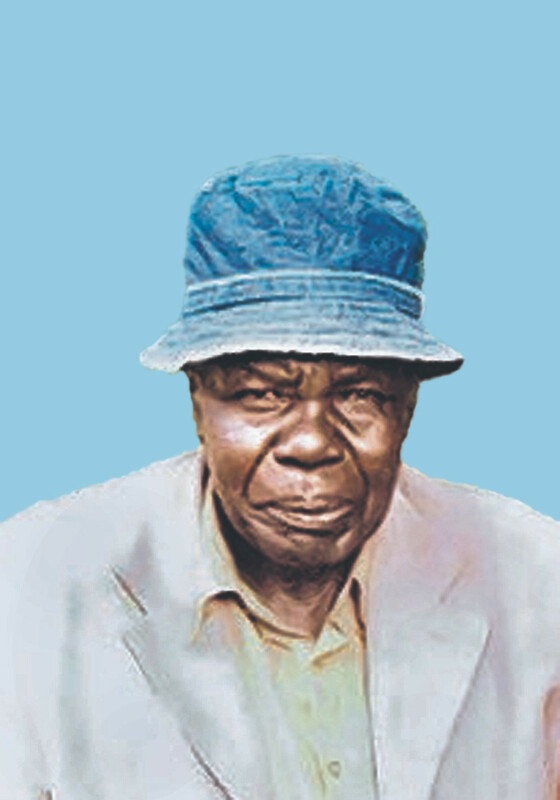 Father-in-law of Susan, Rhodha Nyaboke, Bosibori, Carol, Nelka Nyaboke, Kemunto, Auya Peter, Kemuma Nyabongoye, Matoke, Peter Sakora. Cousin of Makori, Nyaundi Among others. Uncle of Mark Onyando, the late Mark Ondari, Charles, Ogendi, Gesare, Nyansiaboka, the late Nyorita, Ruby Moranga, Kimonge, Tom, Nyoochera among others. Grandfather of Great Grandfather of many. Daily meetings at his home in Mecheo, Flamingo Hotel Kisii and Garden Square Nairobi. Main fundraising Tuesday 29/5/2018 at Mecheo Village, Mwalimu Hotel Kisii and Professional Centre Nairobi. The cortege leaves Umashi funeral home Nairobi on 31/5/2018 at 8.00am. He will be laid to rest on Friday 1/6/2018 at his rural home at Mecheo Village, Mecheo Location, Borabu, Nyamira County.